HowMechanismWorks ? : Boiler Mountings and Accessories. 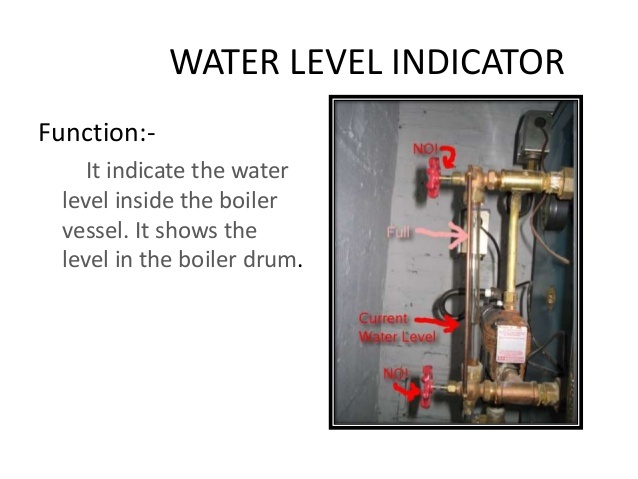 It is also called water gauge.It is an important piece of equipment, which indicates the water level inside the boiler to an observer. It is a safety device, upon which the correct working of the boiler depends. This fitting may be seen in front of the boiler, and are generally two in number. 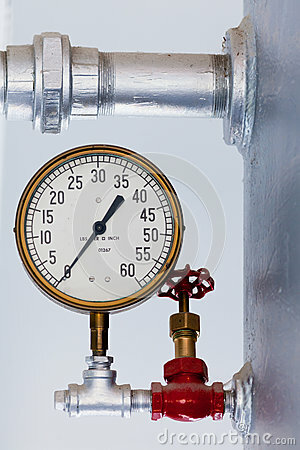 The pressure gauge is used to measure the pressure of the steam inside the steam boiler. It is fixed in front of the steam boiler. 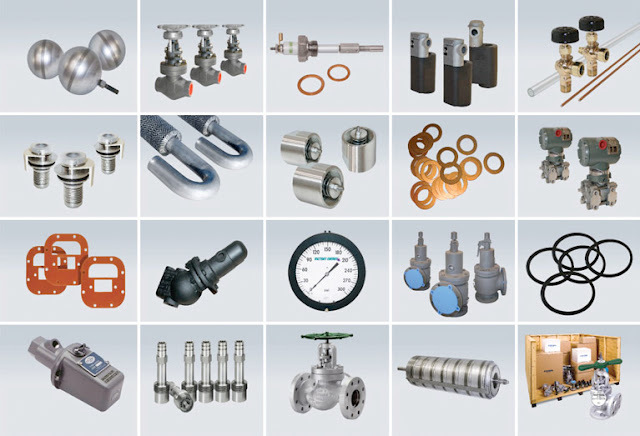 The pressure gauges generally used are of “Bourden type”. A bourdon pressure gauge in its simplest form consists of elliptical elastic tube bent into an arc of a circle. 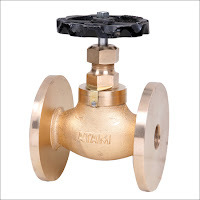 The function of safety valve is to release the excess steam when the pressure of steam inside the boiler exceeds the rated pressure.. A steam boiler is, usually, provided with two safety valves. These are directly placed on the boiler. In brief, the function of safety valve is to blow off the steam when the pressure of steam inside the boiler exceeds the working pressure. 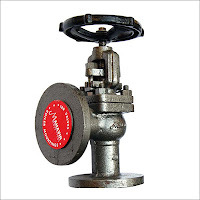 Note:It may be noted that the first three types of the safety valve are usually employed with stationary boilers. But the fourth is mainly used for locomotive and marine boilers. 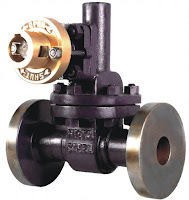 (a) To control the flow of steam from the boiler to the main steam pipe. (b) To shut off the steam completely when required. (c) When the hand wheel is turned, the spindle which is screwed through the nut is raised or lowered depending upon the sense of rotation of wheel. The passage for flow of steam is set on opening of the valve. 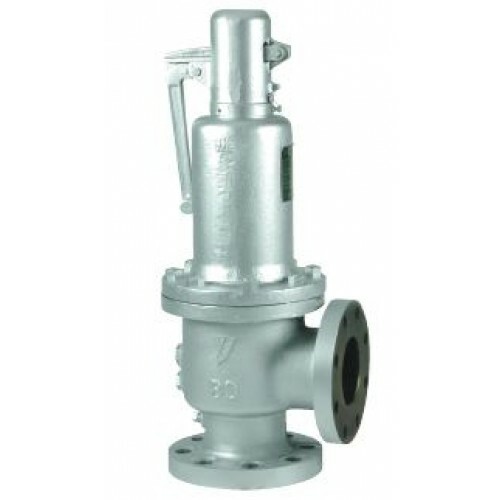 It is fitted on the boiler shell directly or to a short branch pipe at the lowest part of the water space. (a) To empty the boiler whenever required. 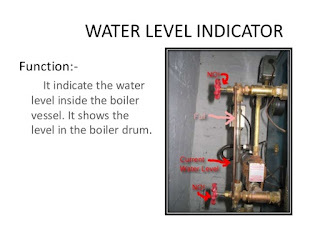 (b) To discharge the mud, scale or sediments which are accumulated at the bottom of the boiler. The feed check valve is fitted in the water space of the boiler slightly below the normal level of the water.It is a non-return valve, fitted to a screwed spindle to regulate the left. 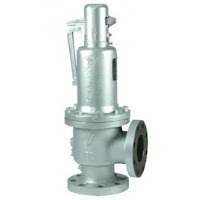 Its function is to regulate the supply of water, which is pumped into the boiler, by the feed pump. This valve must have its spindle lifted before the pump is started. It is located below boiler's water level.It is fitted to the crown plate of the furnace or the fire box. 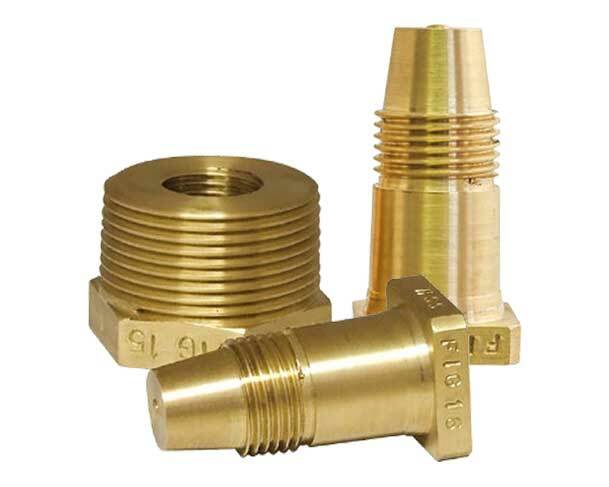 Its object is to put off the fire in the furnace of the boiler when the level of water in the boiler falls to an unsafe limit, and thus avoids the explosion which may take place due to the furnace plate.By removing the gun metal plug and copper plug the fusible plug can be put in position again by interposing the fusible metal usually lead or a metal alloy.